We have diving boards ... and WiFi! The Strasburg Swimming and Recreation Association is home to the Strasburg Pool - a thriving community pool serving the Borough of Strasburg and the surrounding area. 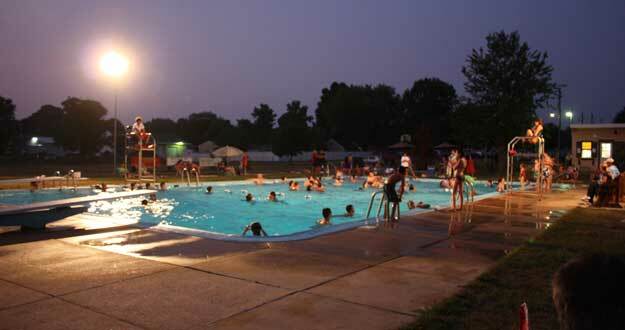 Founded in 1963, the Strasburg Pool continues to provide a large swimming pool with diving boards, a baby pool, full-service snack bar, plenty of space in either sun or shade, and a picnic area and volleyball court. Get your membership today - rates did not change from 2017. We are hiring all positions: manager, head lifeguard, lifeguard, and snack bar personnel. The application deadline is April 15. Visit our employment page for details. 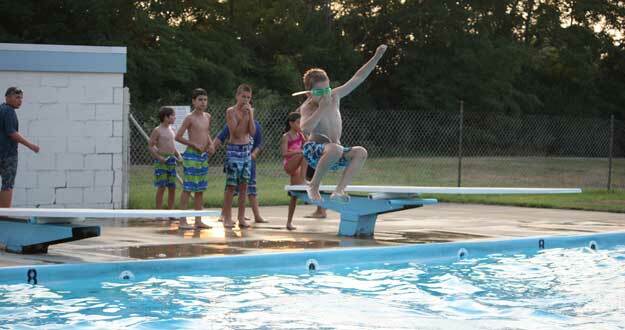 The Strasburg Pool is the perfect spot for birthday parties, scouting events, family picnics and more. How can I support the pool? 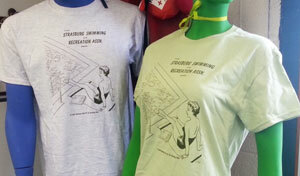 Buy a Strasburg Pool T-Shirt! Cotton Gildan t-shirts available. Limited sizes are available: they are now $5 each. Contact us to order (please include your contact information and send c/o Jane). Visit us to see what the Strasburg Pool has to offer!© 2019 Strasburg Pool, All Rights Reserved.